Drawing inspiration from the city of lovers, the Caron Dining Chair pays homage to Parisian style. Part of the Century Collection by Ottiu, this dining chair will make an elegant addition to your dining space. Influenced by mid-century modern shapes, the design features strong beechwood legs upholstered in velvet and finished with polished brass feet. 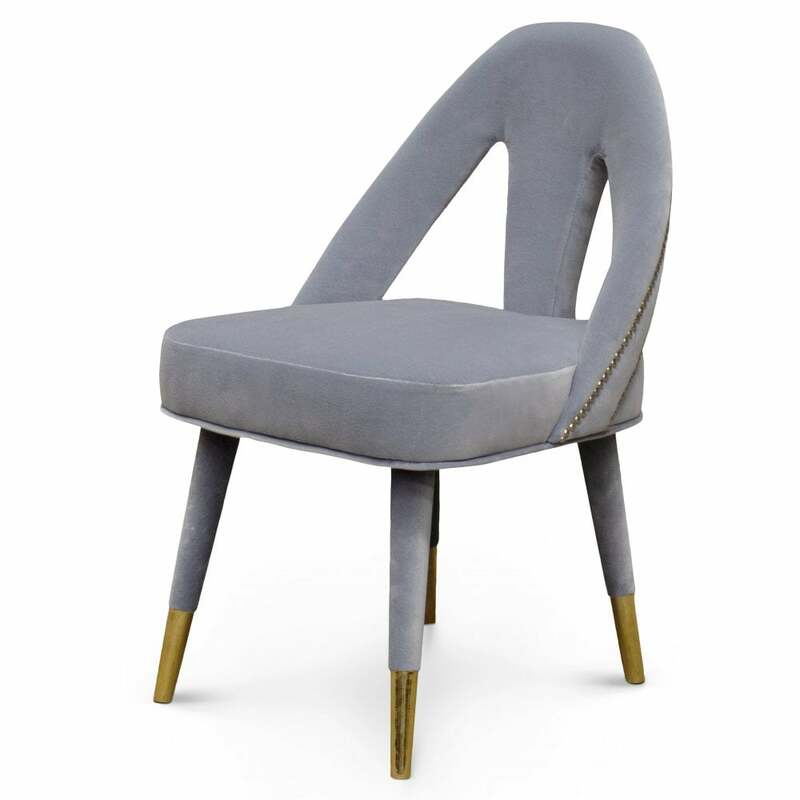 Draped in blue-grey cotton velvet and complemented by brass studding, the curved structure has a luxurious feel. This beautiful dining chair is ideal for any modern home décor. Available in a range of fabrics and hues, get in touch with our team for more information. Priced for Upholstery: Ottiu Fabric. Structure: Beechwood, legs upholstered with velvet. Details: Polished brass accents and feet.